So sorry there wasn't a 'Friendly Friday' post last weekend. A few days ago Madeline, my mother-in-law, died and yesterday we had the funeral. 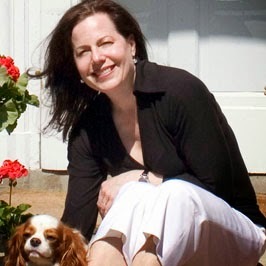 Madeline raised my children while I worked and was a second mother to me, after I lost my mom over 20 years ago. We are all sad to lose her, but as she said herself, I've had a wonderful 88 years! 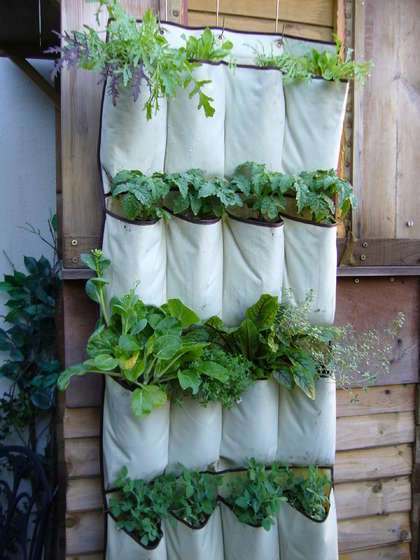 Do you love gardening, but squeezing plants into a small yard seems like too much hassle? Let me show you how to bring your garden dreams to life. 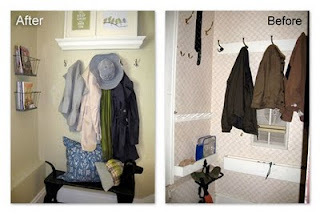 Creating a great garden in a small spot is no more challenging than organizing a small closet. The key is planning and research. After determining which type of garden you want ... cottage ... English ... vegetable ... tropical ... herbaceous ... or any combination of these, just do your research, develop a foundation plan and get your hands dirty! When planning your garden consider the size of plants or trees when fully mature. Will they require much upkeep and if so, are you willing to dedicate the labor required to prune and care for fast growing shrubs and plants? 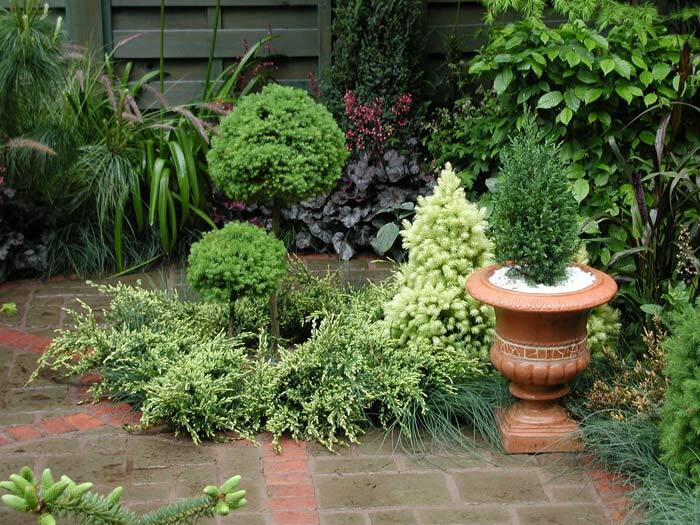 Miniature varieties of arborvitae, boxwood and evergreens are slow growers and require little to no pruning. Many deciduous trees can also be kept small by pruning and shaping. 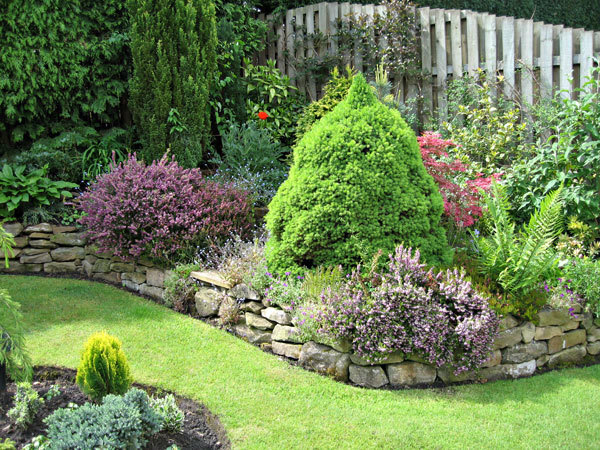 Cultivating a "weed-free" herbaceous border can be back breaking work. To keep weeds at bay with a minimum of elbow grease and maintain a look of fullness, consider a mix of fast-growing shrubbery such as nandina, or fern wegelia and low growing ground covers. Sometimes lush rolling lawns are not a homeowners chief desire. 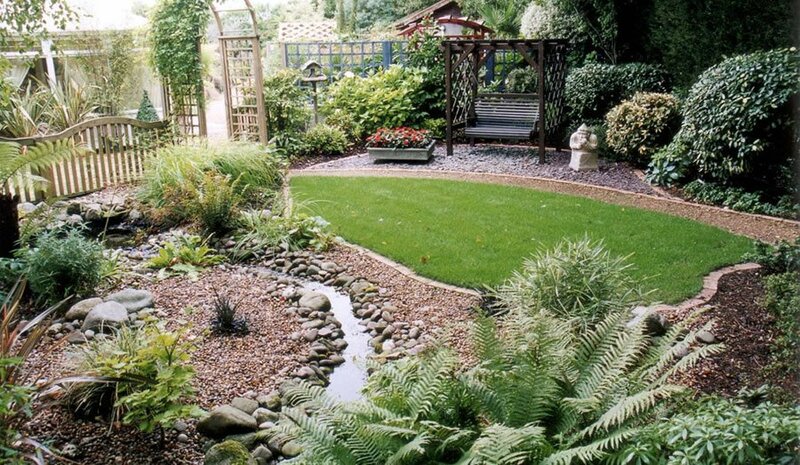 This darling backyard gardener used natural stone and raised beds to create a lovely and peaceful landscape with nary a blade of grass to be found! Embellishments in the form of garden statuary, arbors and fencing make a charming backdrop for a small yard. This bi-level concrete tiled patio with its charming playhouse and dining area makes me long for a cocktail and some savory 'small bites' while lounging next to teak arbor. How peaceful! 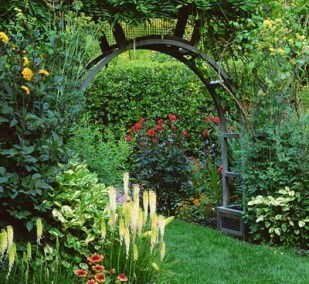 Arbors make the perfect support for climbing plant varieties. And don't have to stop at roses, although they are my favorite! Great climbers include morning glories, wisteria, clematis and even a grape vine. Very little pruning for these dandies is required. To make vegetable gardens work in a small space, just downsize the amount of veggies. A few plants from each variety, tomato, cucumber, beans, will keep you in veggies all summer. 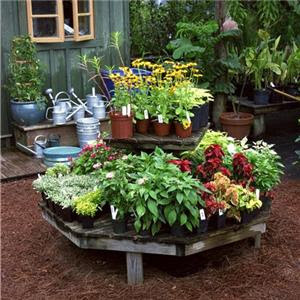 And be creative in your placement of plants. Who says you can't grow a row of corn against a fence? I think vegetable gardens are just as lovely as flower beds. 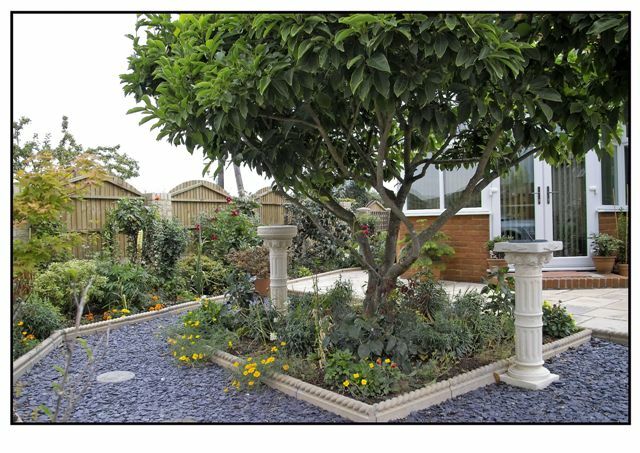 Look at the symmetry of this zen garden which also includes vegetables. 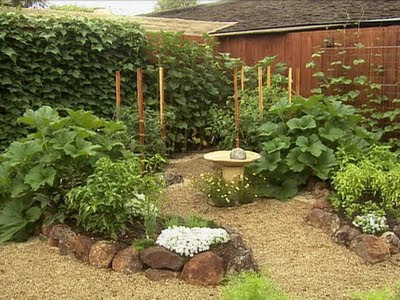 Large squash plants and climbing beans are woven into the design plan along side rocks and a minimalist garden fountain. Apartment dweller? No worries! This clever gardener used a hanging shoe bag to plant veggies! 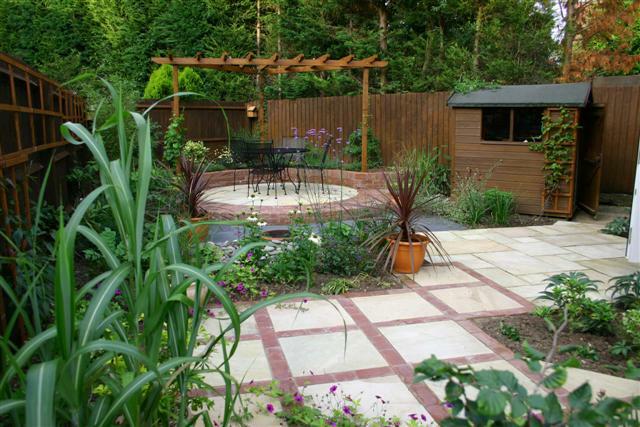 Whatever your gardening style, it doesn't have to be compromised due to lack of space. With a little ingenuity and some elbow grease you can have a beautiful landscape in your own backyard! Happy gardening! Confession. I have no foyer. Its one of the many downsides of living in a small home. 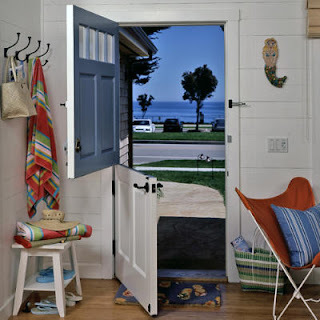 My front door opens right into the living room with nary a welcome mat or place to deposit keys or your hat. It makes me sad. (Not really.) 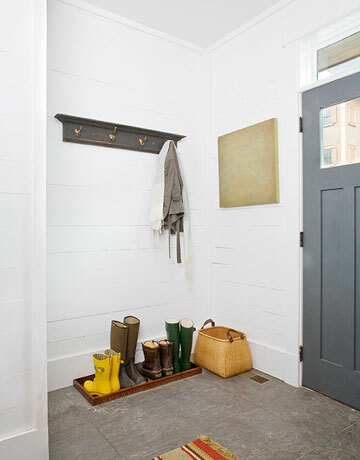 But while most people in larger homes worry about keeping their entryways organized and clutter free I'm left wondering where to place my mail and wet umbrella. Not only that, but I want my guests to feel warm and welcome when they enter my home and that is no easy task when you're opening the front door in the middle of your main living area. 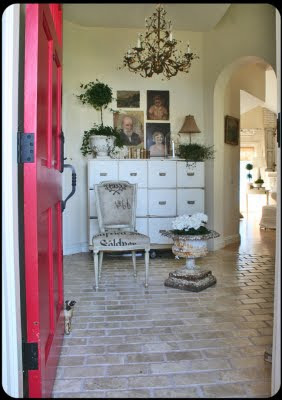 I'm woman enough to say it....I have foyer envy. Sigh. With some well placed benches, a boot tray, a lovely plant, nice lighting...these people have created a warm, welcoming landing strip for shoe removal and the hanging of hats as well as a place that invites guests in with a lovely embrace. 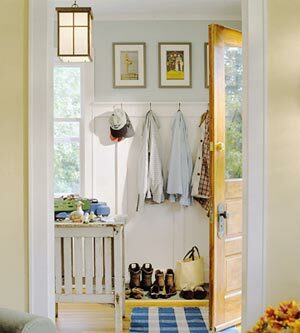 Who needs grand entrances with sweeping staircases and chandeliers as long as there is a hat rack, umbrella stand and a little organization. I must get a bench like this one pictured above. I bet my children would never leave their shoes in a pile by the door if we had a bench like this. Sigh. Now I have bench envy as well. These clever people built a nice half wall with a pass through that divided up their living area nicely to create an instant entryway. They tiled that small area to give the room clear distinction without scrimping on space or style.. A little banquette and a throw rug makes the area its own room. My silly friend, who happens to be one of those frugal genius decorators who creates something out of nothing, did what the homeowner above mimicked. She had some special family photos printed in black and white, matted them in black frames and displayed them on inexpensive shelving in her foyer. The entire effect cost less than $50 and it looks fabulous! A great welcome to a warm family home. I love hooks and hat racks. There's just something about them that screams "Home Sweet Home" to me. What's the old adage about a place to hang your hat? I plan to steal the idea of mounting those clever wire baskets on the wall as a place to corral mail and homework, permission slips and To Do Lists! After about 45 minutes of blog stalking and downloading pictures of lovely entrances, I've deduced the following: with a few well-placed benches or shelves, good lighting, a welcoming houseplant or flower arrangement and possibly a decorative screen as a divider I can make my own foyer in my little Jewel Box® Home. Welcome to Alaska! This is my brother's log cabin near the Wrangell-St. Elias Park and Forest Preserve. A true rustic Jewel Box®, he built the cabin himself. And not from a kit. Pine logs were shipped in from Canada, then he stripped and notched each one by hand, before building the cabin structure of his own design. This is one of my favorite places in the world! Notice the wooden porch swing at the front of the cabin. To the left partially hidden by a towering pine tree is the sauna. Also built by hand. The indoors is classic log cabin decor. And it works beautifully. Open shelving and rust painted cabinet fronts make-up the kitchen. The pot bellied stove on the native rock hearth, takes center stage. But don't miss the antique cabinet to the left. That is one of my mother's finds. My brother carted it all the way to Alaska. I'd love it for my home, but it will never leave the cabin. An oil lamp sits on the left edge of the cabinet. There is no electricity or running water here. 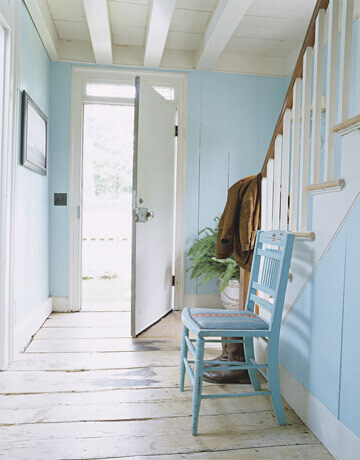 The only bedroom is under the eaves reached by wooden stairs from below. The lantern on the bed stand allows for night time reading. A pine aroma still fills the cabin years after it was built. My nephew and his friend relax on the front porch during a recent visit. Nature provides landscaping around all sides of the cabin. And the 'natives' not people, have the right of way. A mother bear and her cubs are curious about the arrival of my brother and nephew. They are standing on the dirt road that winds to the cabin's front. Beautiful white aspen surround the cabin. Here a bear can be seen foraging in the woods. Next week, back to the mainland for Friendly Friday. Friendly Friday's Are Back for Summer! Welcome to the first Friendly Friday of 2011! It's a summer tradition at Jewel Box® to tour a 'real life' smaller house or space every weekend through Labor Day. 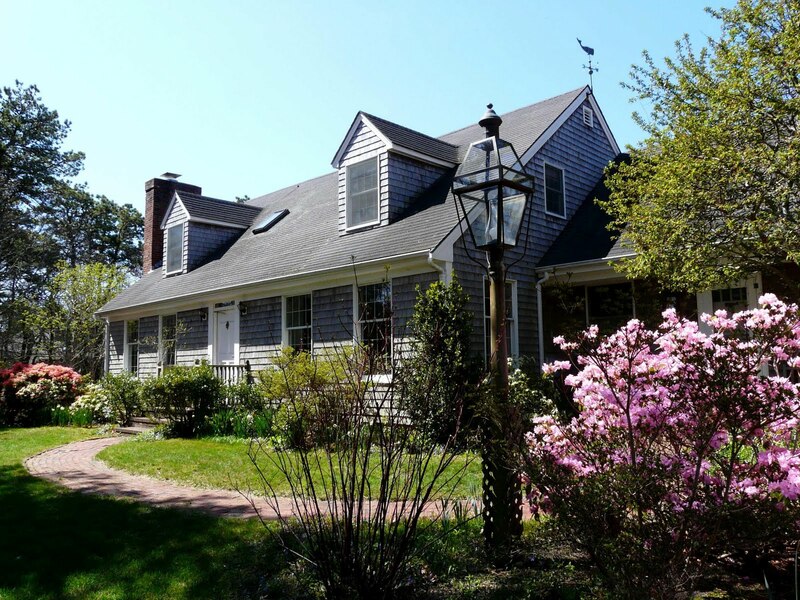 Our first stop this summer is a gorgeous little Cape Cod on Martha's Vineyard. There are so many things to like about this home, the dormer windows, the gray blue shingles and my favorite, the weather vane topped by a whale! This is my boss Sarah's family home from her blog Unshoveling the Past. Through letters and photos found after her mother's death, Sarah's blog chronicles the story of her mother's life, which includes making a home in Botswana. Anyone who has lost a mother, as I did over 20 years ago, will appreciate the journey, both physical and emotional, so beautifully told in Unshoveling the Past. Now back to our tour. All photos are from Unshoveling the Past. Here is the back of the house with pink hydrangeas blooming under the windows. The house sits on a cul-de-sac with native landscaping that beautifully suits the property. 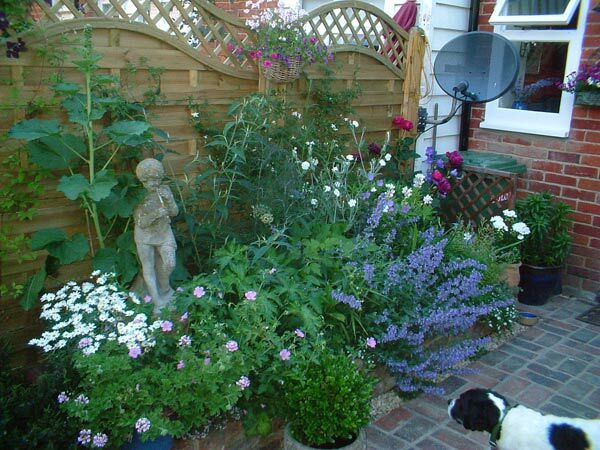 The view of the back garden was taken in the spring when trees and shrubs were flowering. I love the flower garden outside the back porch with color spilling onto the path. In the summer, climbing vines fill the trellis. The front entryway is perfectly proportioned for the house. And just look at the harp table next to the door. Classic! Sunlight fills the home streaming through large wooden paned windows. Fully functioning shutters make the use of curtains optional. The dining room below shows off the oak flooring found throughout the house. 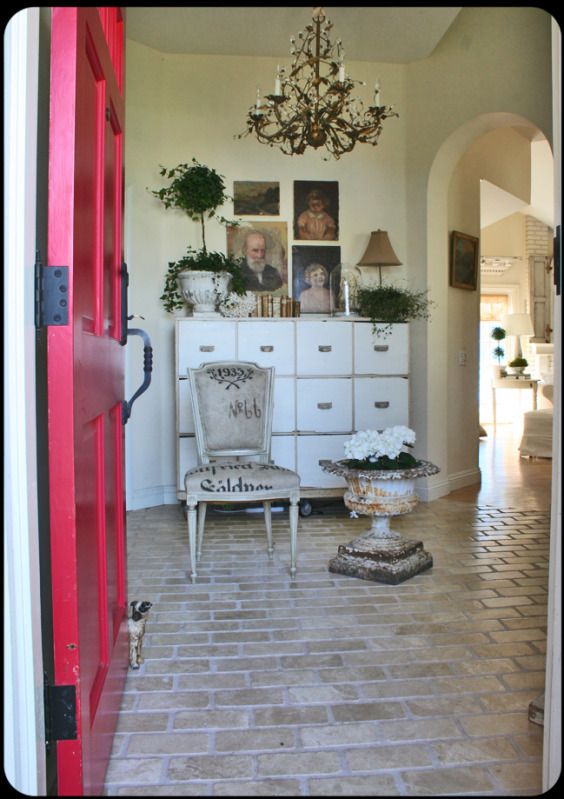 Traditional decor and cream walls compliment the architecture. And don't miss the ladder back chairs, dry sink and area rug with colorful birds woven into the design. 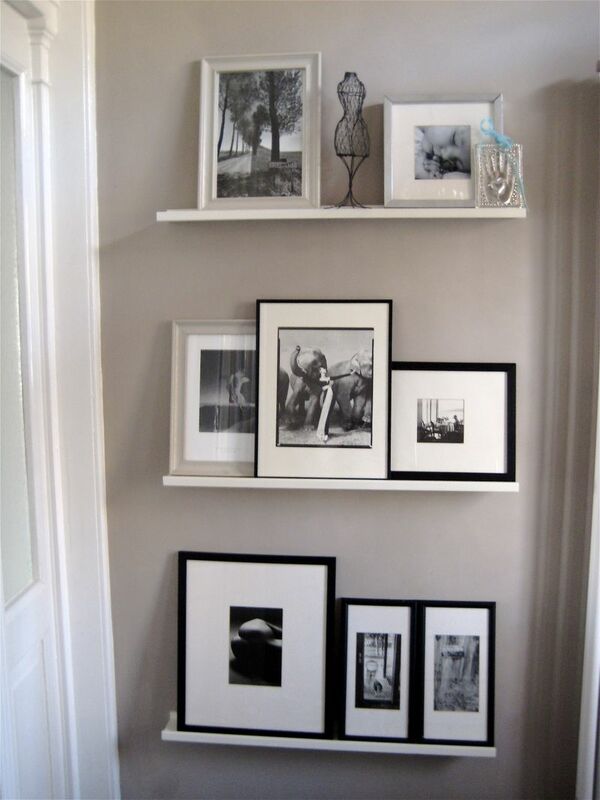 Simple elegant decor continues upstairs. The seafoam fringed throw and flowered accent pillow add a touch of color. Antique black twin beds paired with a vintage black wooden rocker are a terrific combination against cream walls in this dormer bedroom. The screened in sun porch is a perfect summer spot for lounging with a good book. And Sarah tells me the house is now for sale. Even a smaller home on Martha's Vineyard can't be cheap. Still, if I had the money, I'd prefer this little beauty over the larger sprawling so-called 'cottages' on the island I've seen in magazines. The Jewel Box® Home Book is Here! What Blogs do I read? Here are my tried and true favorites! Stop by and say hello.